It’s always nice when, instead of pushing your own images on social media, you come across someone else’s. So a thumbs up for Instagram, which introduced me to Jaume Llorens. His images are a celebration of nature, and of place, with many derived from the area around his home close to the Lake of Banyoles in north-eastern Catalonia. And perhaps most importantly, they are a celebration of his own relationship with both. Would you like begin by telling readers a little about yourself – where you grew up, your education and early interests, and what that led you to do as a career? I was born and raised in a working class neighbourhood of Porqueres, a small village in Catalonia, about 120km north of Barcelona and next to the Lake of Banyoles, something that has had a very decisive influence on my fondness for photography. The lake is an unbeatable laboratory where you can experiment with the camera and at the same time a friendly space where you can be in permanent contact with nature. And without the need to travel far. Now I live a few hundred of metres from its shore. A real privilege. The annual open water swim across the lake is much celebrated. It is very popular – around two thousand swimmers take part – and I have participated in it since adolescence. During the 2.2km swim, your relationship with the natural environment acquires another dimension. I'm married, with two teenage children. I have a degree in Psychology, but I’m not practising. I earn my living as a web designer. Like any other aspect of my life, I imagine that education and my profession may have had some kind of influence on my work as a photographer. 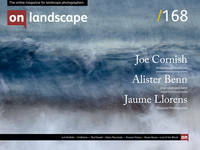 I think that probably we can use landscape photography to represent any kind of human emotions. The external landscape as a mirror of our own inner. In my case, I think I have some tendency to look for a range of emotions around may be a low mood, melancholy… loneliness... In fact, I have the impression that some of my landscape photographs are just intimate self-portraits. I can recognize myself in them. There are also repeated traces of my character reflected in my images. And I imagine that other people can also recognize themselves in them.